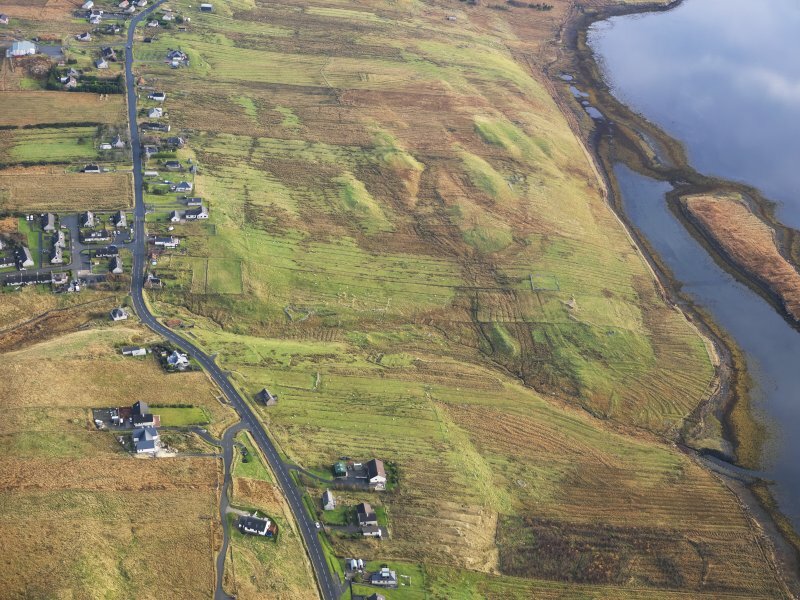 Oblique aerial view centred on part of the crofting township, taken from the WNW. 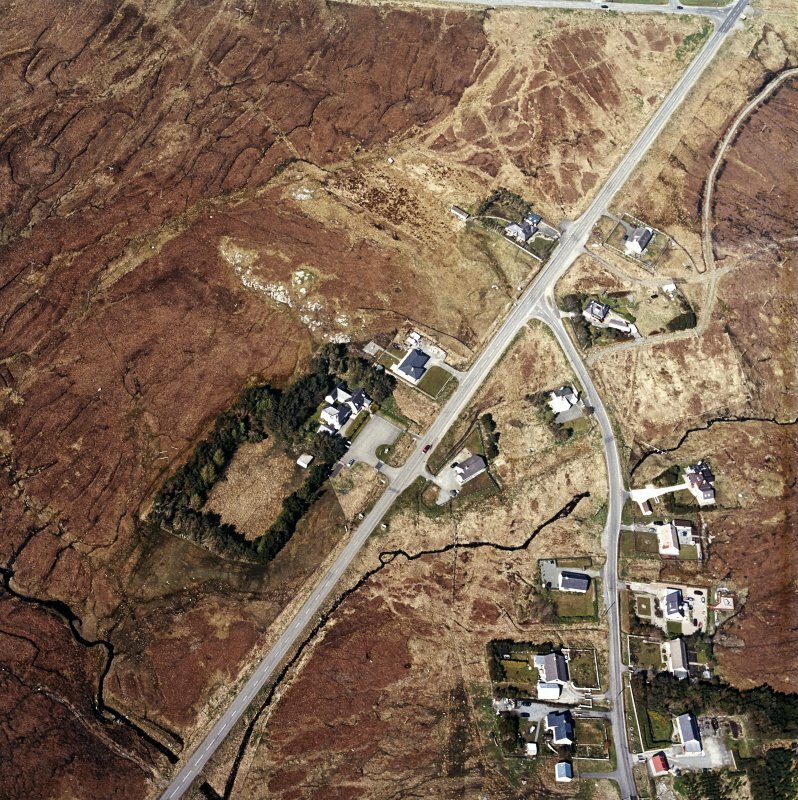 General oblique aerial view centred on the township, taken from the SSW. 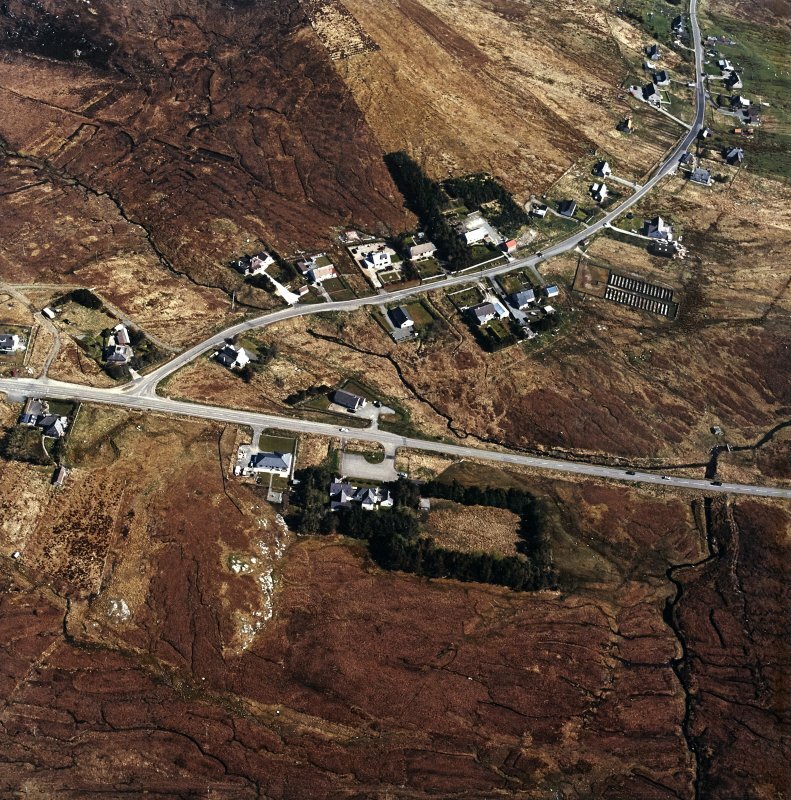 Oblique aerial view centred on part of Leurbost crofting township, Lewis, taken from the WNW. 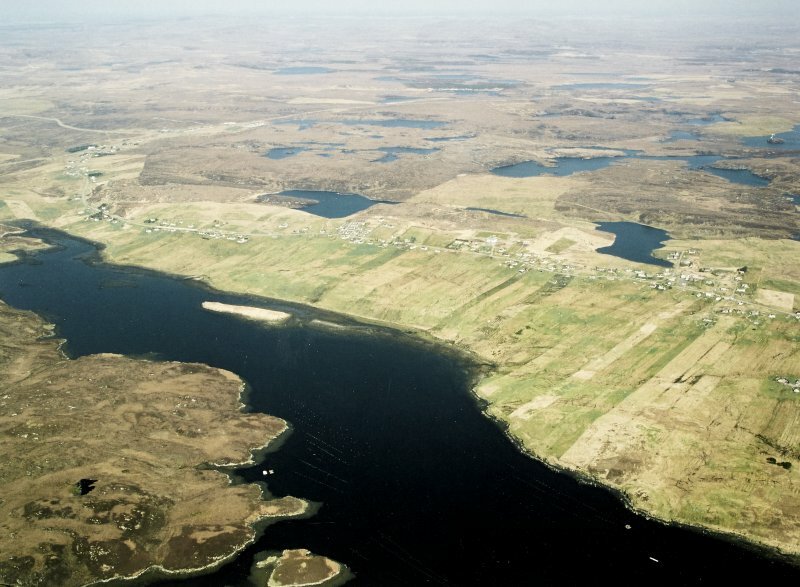 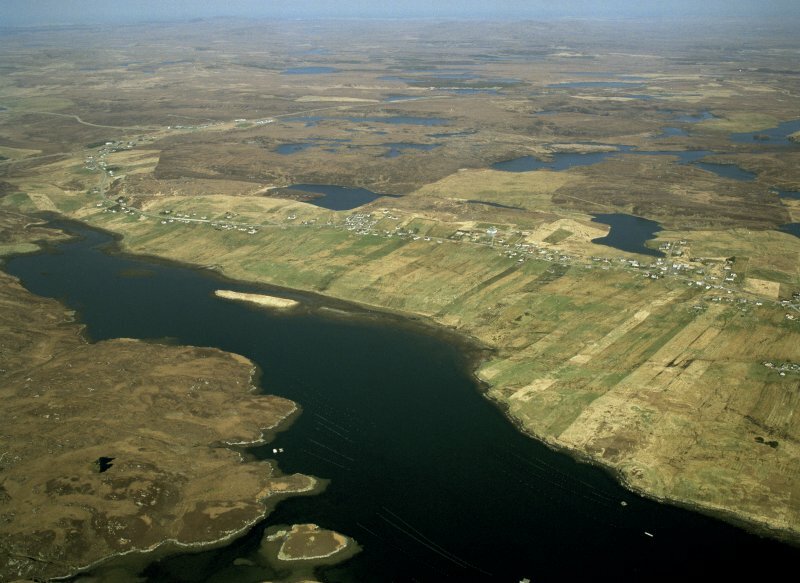 Oblique aerial view of the remains of Leurbost township, with associated head dyke, field system and lazy beds, Isle of Lewis, taken from the WNW. 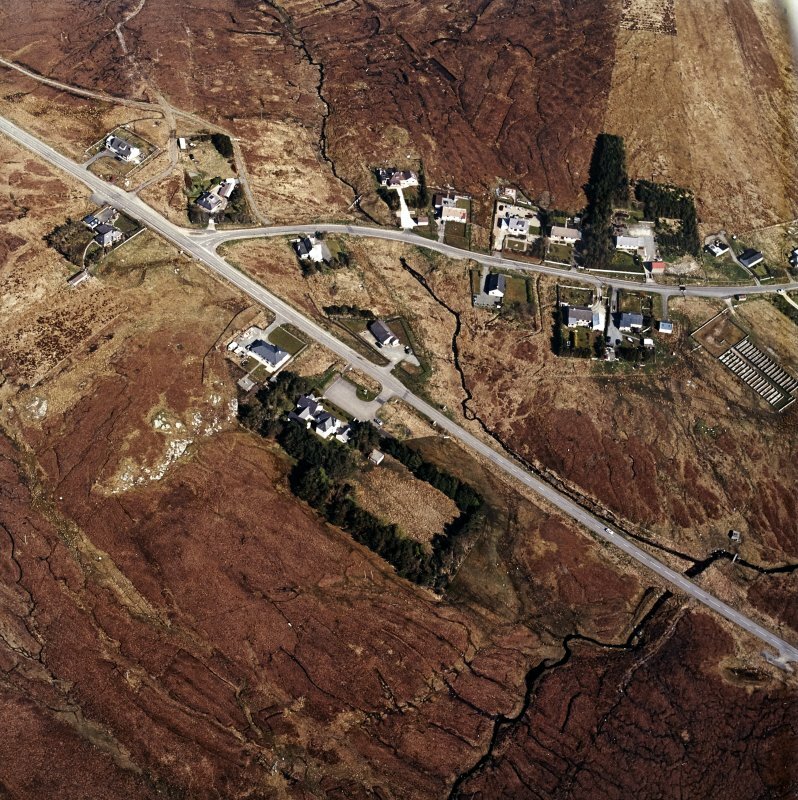 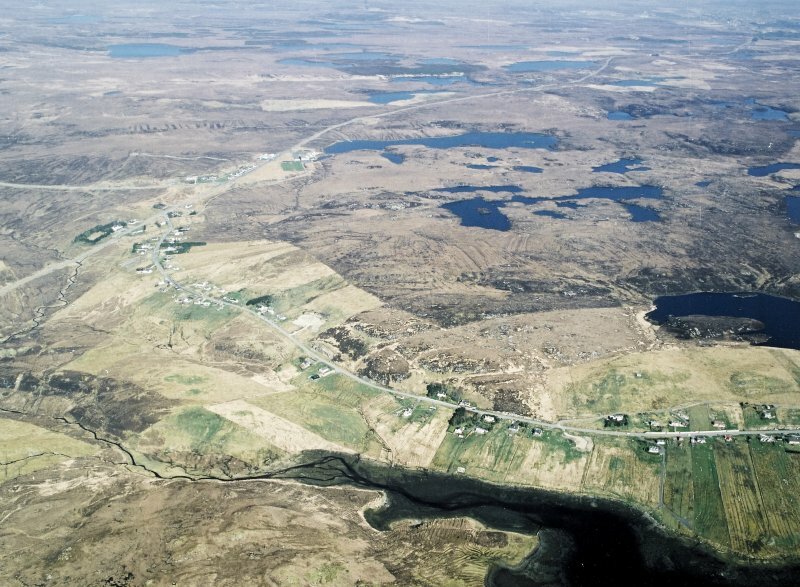 Oblique aerial view centred on part of the crofting township, taken from the SE. 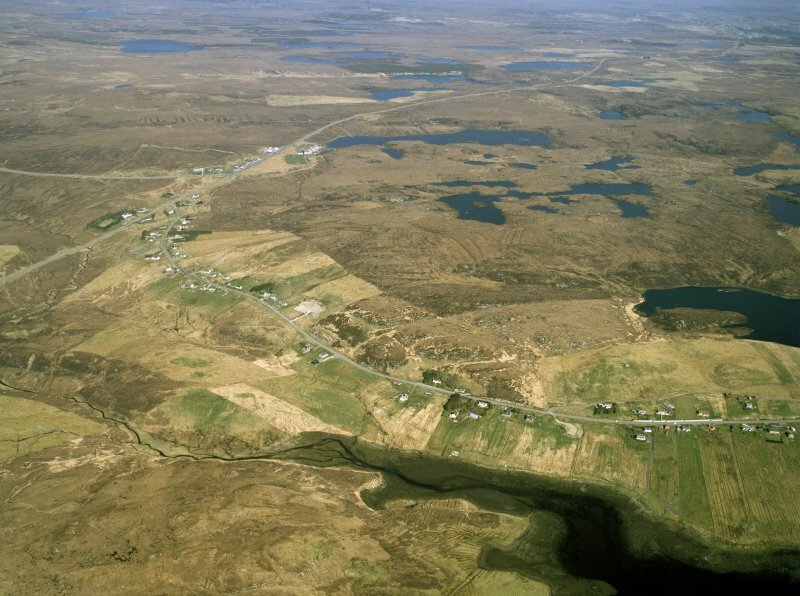 Oblique aerial view centred on part of the crofting township, taken from the W.
A township comprising seventy-six roofed buildings, two partially roofed buildings, one of which is annotated as a Ruins, fifty unroofed buildings, several of which are annotated as Ruins, several enclosures and a head-dyke is depicted on the 1st edition of the OS 6-inch map (Ross-shire, Island of Lewis 1854, sheet 33). 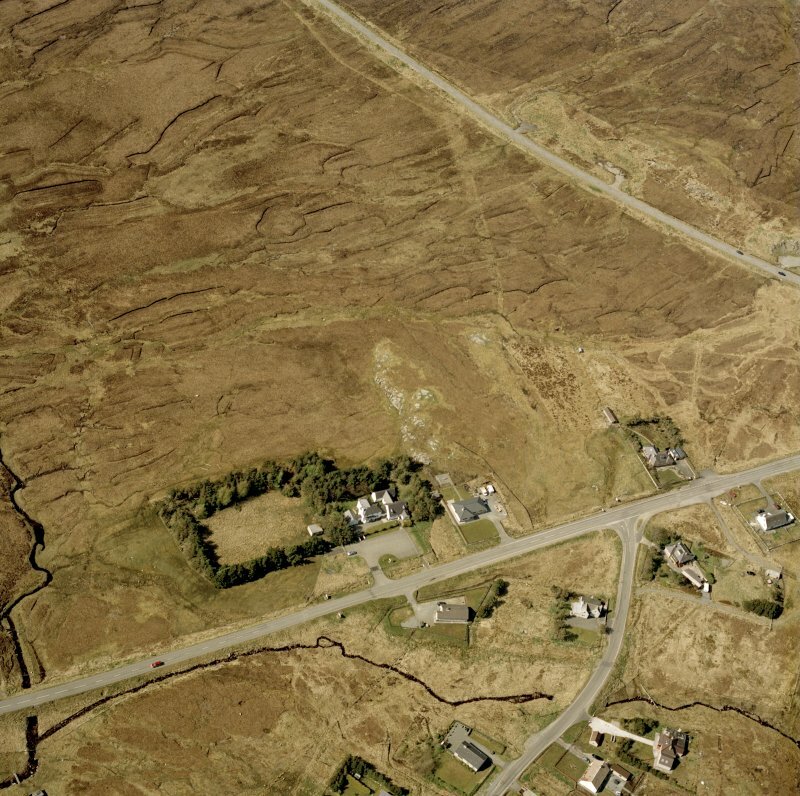 This site is now located within the crofting township of Leurbost as shown on the current edition of the OS 1:10000 map (1974). 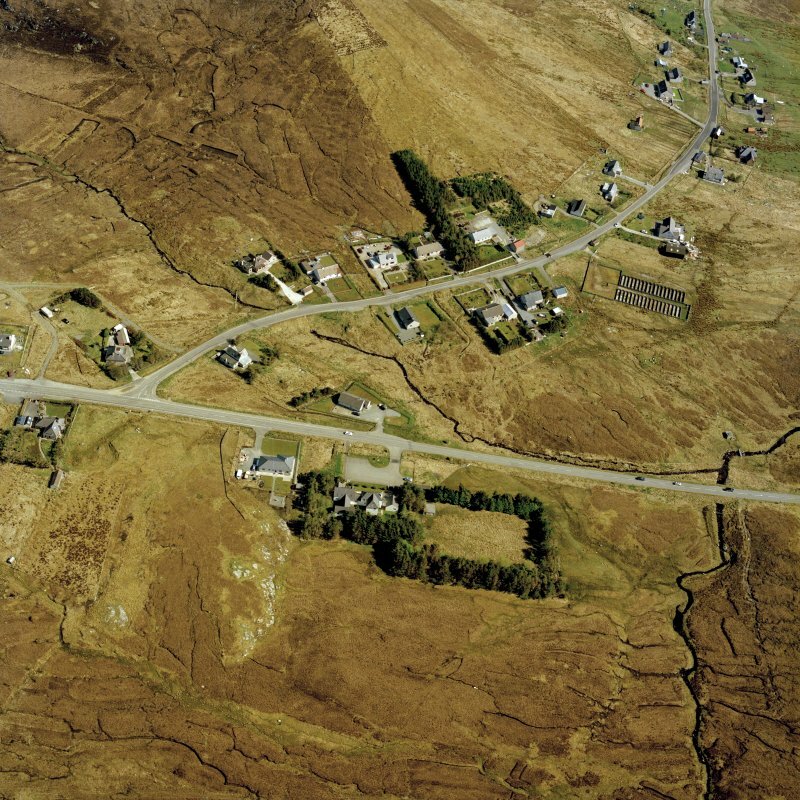 Information from RCAHMS (SAH), 25 July 1997.